I really can't believe that it's the last week of September - I am sitting here and it's dark, rainy and windy. Is summer really over? You just arrived - can't you just stay for a bit? 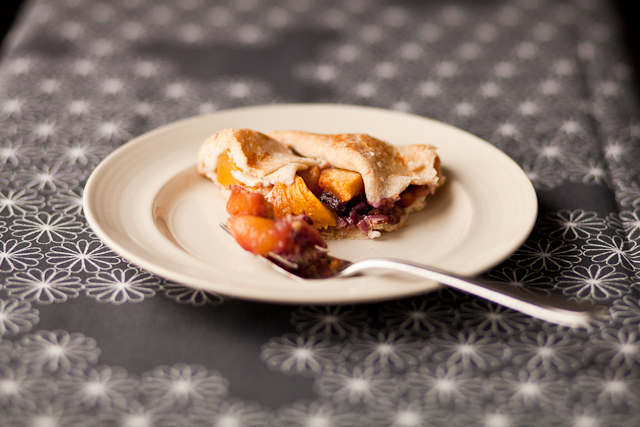 Since I am behind in several posts I am going to reminisce about warmer days - days were you can make Peach & Blueberry Gallette. But I like this so much I will be making it all year around. I am loving Galettes - even more than pie, if that can be possible. 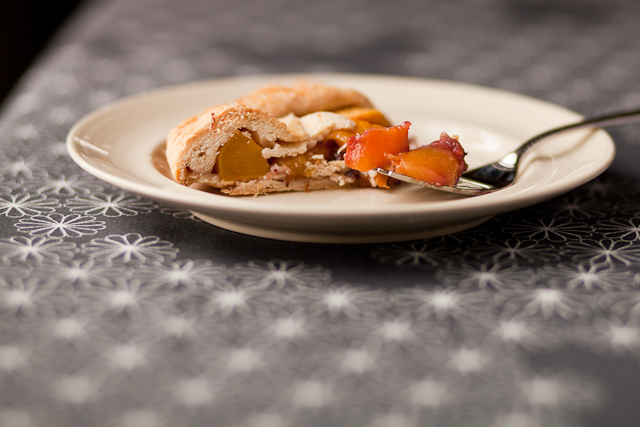 What is a Galette - I think of it as a free form tart, rustically beautiful, and not to sweet. When I was researching recipes I came across two blogs that had recipes that I liked but modified just a little. For the crust I loved Censational Girl's post about using Paula Deen's perfect pie crust recipe and her detailed photos of making it. Definitely follow this if it's your first time making pie crust - no food processor necessary. I think over processing it has been my problem all along. And yes, make sure everything is COLD. Then I used the tip from the Pioneer Woman on how to roll out perfect pie dough.... Katie bar the door! Rolling it between two pieces of parchment paper??!!! Where have I been? 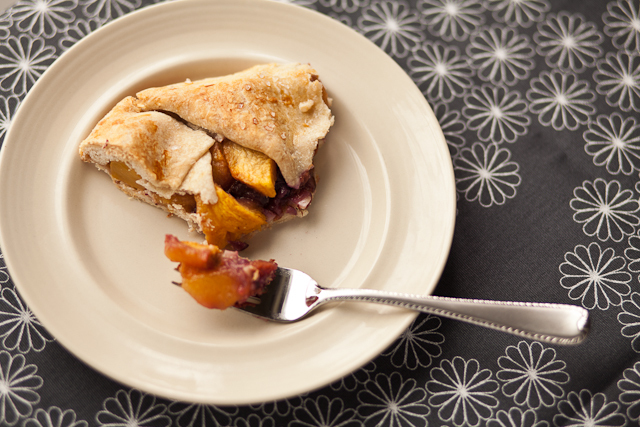 Censational Girl also has a Peach Galette recipe that sounded good [I used her idea to use sliced almonds on the bottom] but I found this Peach & Blueberry Galette recipe by Food Blogga. Follow Paula Deen's recipe and use Censational Girl's great step by step - trust me it will work flawlessly. If you haven't tried the parchment paper rolling technique give it a try - it was life changing for me! You will have enough for two Galettes. I followed the Food Blogga recipe - omitting the ginger and adding the almonds on the rolled out dough before pouring in the filling. 350 degrees for almost an hour - you want it golden. It does taste best when warm with vanilla ice cream. I did eat some the next day, cold, and it was OK.